Bosch board member Peter Tyroller said there are not many companies that can cover the huge costs of entering the lithium ion battery field. COLOGNE, Germany -- Robert Bosch GmbH is well positioned for what one executive says will be a "battle" to win contracts to provide lithium ion batteries to future plug-in hybrids and electric vehicles. "The investments in this technology are huge and there are not many companies that can really come through this period where you just don't make money," Bosch board member for sales and marketing Peter Tyroller told the Automotive News Europe Congress here last week. "It takes a long time until you get the pay back." The German partsmaker made a major investment in batteries in 2008 when it formed SB LiMotive Co., a 50-50 joint venture with Samsung SDI Co. The company aims to boost annual capacity at its plant in South Korea to enough batteries for 180,000 electric vehicles by 2015. Fiat S.p.A. and BMW AG are among customers already agreeing to buy the company's batteries. The joint venture's U.S. subsidiary, suburban Detroit battery maker Cobasys, was awarded a three-year, $8.36 million (5.8 million euro) contract earlier this year by the United States Advanced Battery Consortium to develop lithium cells for use in electric vehicles. Bosch also is working on concepts to provide battery recycling. 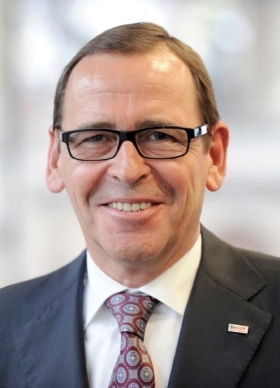 "We have about 15,000 Bosch car service centers worldwide. We can use those and train them to take the old batteries out and recycle them," Tyroller said. "We are very well prepared to do this." Another battle Bosch is fighting is the so-called "war for talent" as it seeks to hire enough engineers around the world to handle growing demand for advanced technology. "What companies need to do to overcome the problem is cooperate closer with universities and convey a positive image to the public so that the students are interested in working for them," Tyroller said. "The image of the company is very important." Tyroller said that the image of a company is crucial regardless of whether it is seeking top people in Europe, China, India or other parts of the world. Bosch ranks No. 1 on the Automotive News Europe list of the top 100 global suppliers, with sales to automakers of about $34.6 billion in 2010.